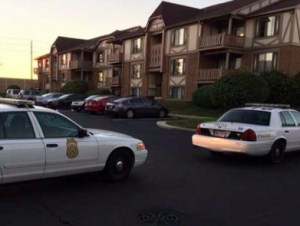 Ferrell Odom Killed, 1 Injured in Indianapolis Apartment Shooting; Fatal Security Lapse? Could this tragic Indianapolis apartment shooting have been prevented and are justice and compensation available to Mr. Odom’s family? Security measures are under scrutiny after an Indianapolis apartment shooting claimed the life of 25-year-old Ferrell Odom and left another man injured Wednesday night, October 17, 2018. According to FOX 59, gunfire erupted at the “Scarborough Lake Apartments” in the “6400 block of Maidstone Rd.” shortly after 6:00 p.m. Both victims were transported to the hospital, where Mr. Odom tragically succumbed to fatal injuries. The condition and identity of the second victim have not been released. Have there been prior incidents of violence on or near property? What security measures, such as gated-entry, fencing, bright lighting, surveillance cameras, and visible security patrols, were in place to deter crime and protect Ferrell Odom at the time of the shooting? Generally, property owners are required to protect all those legally on the premises from any foreseeable harm. Should the facts of this matter reveal that the property owner or management failed to provide adequate security to protect those on its premises, Ferrell Odom’s family may seek justice and elect to pursue legal claims for his wrongful death. Additionally, the surviving victim may pursue legal claims for his injuries.